Put the bag mouth into O-ring grooves. Make sure to press seal button after closing both ends of the top lid correctly. Then hold it down with both hands to initiate vacuuming and sealing. 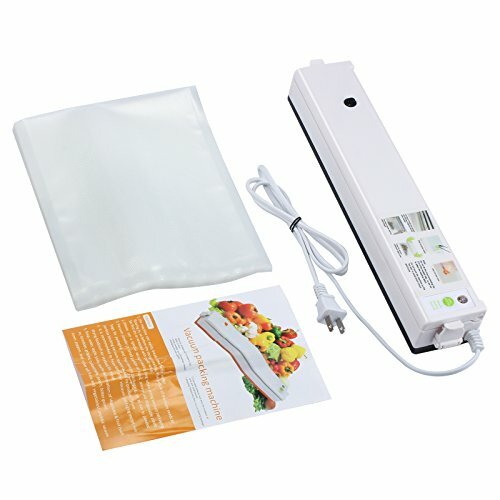 If vacuuming and sealing finished, press the release button which is in the middle of lid, so that you could take bags out. When sealing only is needed, just put the bag mouth under the sealing bar, then press seal button and press both ends of the top lid. Press the release button which is in the middle of lid when sealing finished. Note: Do not fill the food exceeding the 2/3 of the sealed bag, so as not to affect the sealing effect.